News & Media | BlazeAid volunteers rebuild fences after fires, floods, drought and cyclones. BlazeAid founders, Kevin and Rhonda Butler of Kilmore East, wish to acknowledge and honour everyone involved in BlazeAid. For over 10 months after the Black Saturday fires, BlazeAid volunteers helped rebuild the fences and lives of so many of those affected by the devastating bushfires of February 7th 2009. Blazeaid received delivery of 6 new fully equipped combat trailers and 1 workshop trailer. 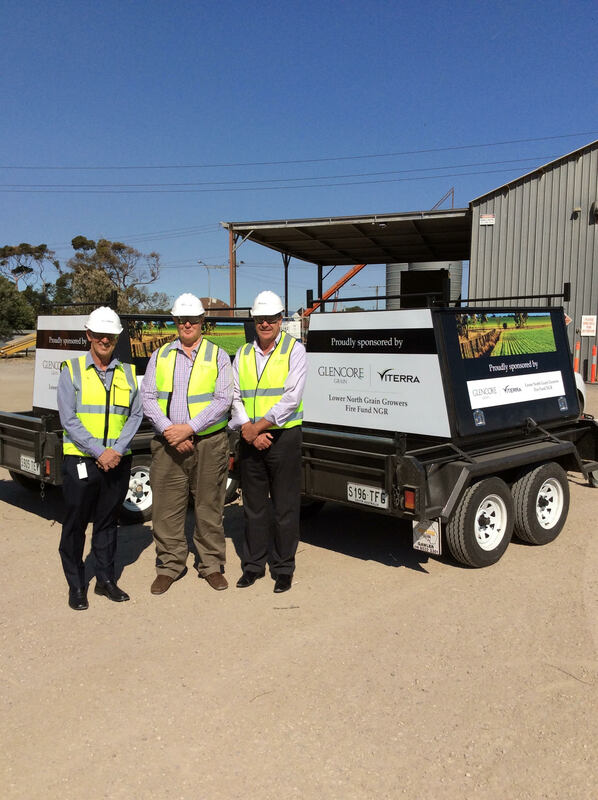 Many thanks to Viterra, Glencore and Lower North Grain Growers in South Australia. This will help Blazeaid’s future assistance to those families and communities effected by natural disaster in South Australia. Click here for Radio and TV Programs, Interviews, etc. Click here for our In Memorium page. Click here to see statistics of the work completed by BlazeAid since 2009. These figures show the amazing amount of work done by our volunteers. However, they don’t reflect the humanitarian impact our volunteers have on the local communities. The help and hope that BlazeAid brings to rural families after natural disasters can’t be quantified, but is even more important than the fencing and other work completed. 10% of sales from Cathy’s new book will be donated to BlazeAid. “The Curse Of Verse, A Poet’s Lament ” is a creative cauldron of 13 poems, on topics ranging from the beauty of Nature, to personal challenges and social observations, to name a few. Each page contains beautiful colour photos. Macca took a trip down to Kilmore to see how BlazeAid was going. Several volunteers chatted with Macca about working for BlazeAid during the broadcast on 26th April. People have come from “all over” Australia and from overseas to volunteer.